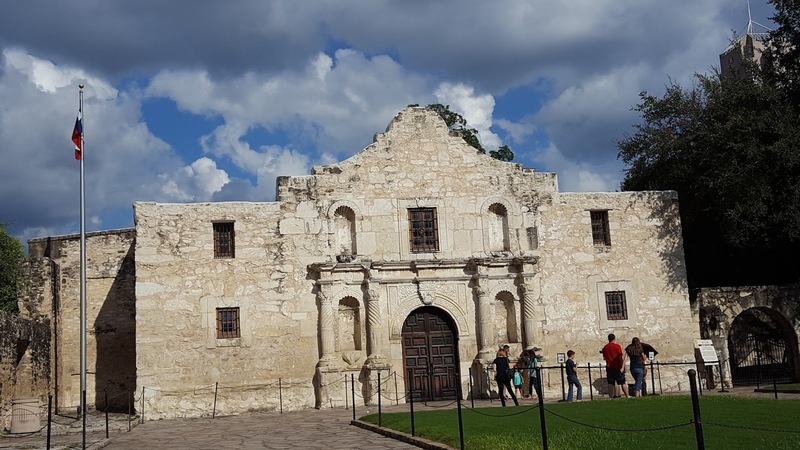 San Antonio is a historical place. It played a significant role when the Republic of Texas is formed and later when it became a state in United states of America. The historic Payaya Indians used to live here at San Antonio River which they called as 'Yanaguana'. 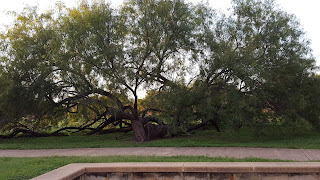 In late 1716, Spanish people from missionaries in Mexico arrived here and thus Spanish settlement started. They started a mission 'Mission De Valero', which is known as 'Alamo' now. 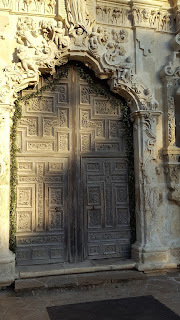 They constructed other missions as well and converted the natives to Catholics and taught them to live as Spaniards to keep them under the control of Spain. 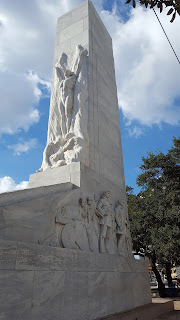 Later, when Mexico is liberated from Spain rule, the Republic of Texas is formed and The Alamo actually served as a battled field for the liberation of Texas. 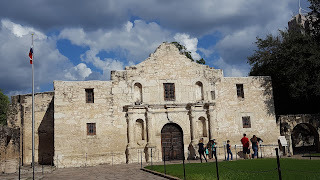 Thus, San Antonio also got the name as 'The Alamo City'. In 1845, Unites states included Texas as a state in the Union. The missions of San Antonio are far more than churches. They are communities. 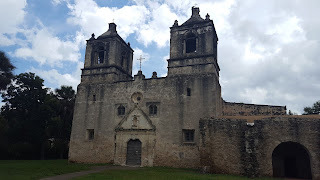 We can see mud houses where the natives lived, the old churches, farms, and ranch. 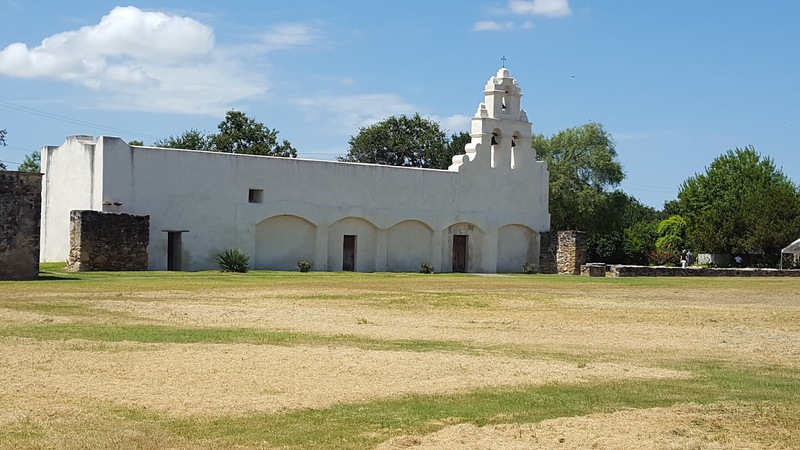 More than a church, Mission Conception was also a village, fort, school, farm, and ranch. Though the missions are ruined to some extent with time, archeologists were successful in preserving the old paintings on the walls as well. 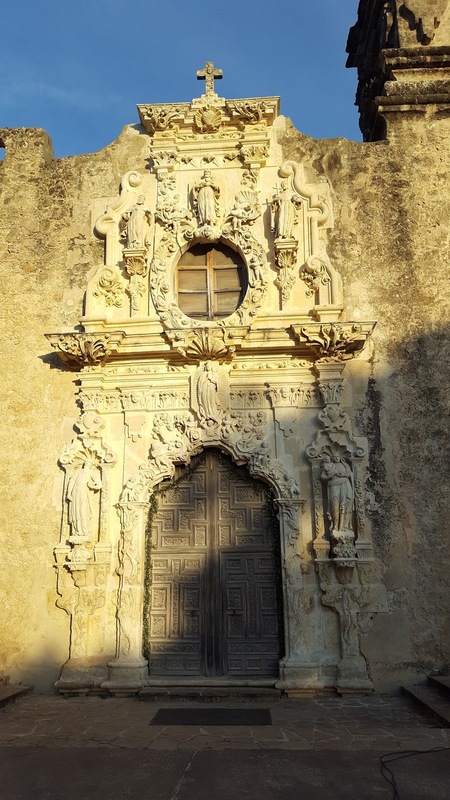 Out of all missions, Mission San Jose is beautiful. The carvings are preserved till this time. The church is great but photography is not allowed inside without special permission from Paster. 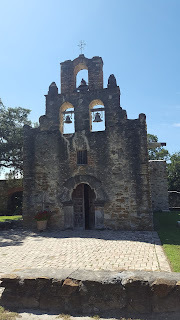 San Antonio missions is a world heritage site. All the missions are covered along the path of 13 miles and it is difficult to cover all of them on the same day if it is hot summer. It might take around 4 hours to cover all these by car by stopping at each mission for at least 30 mins. 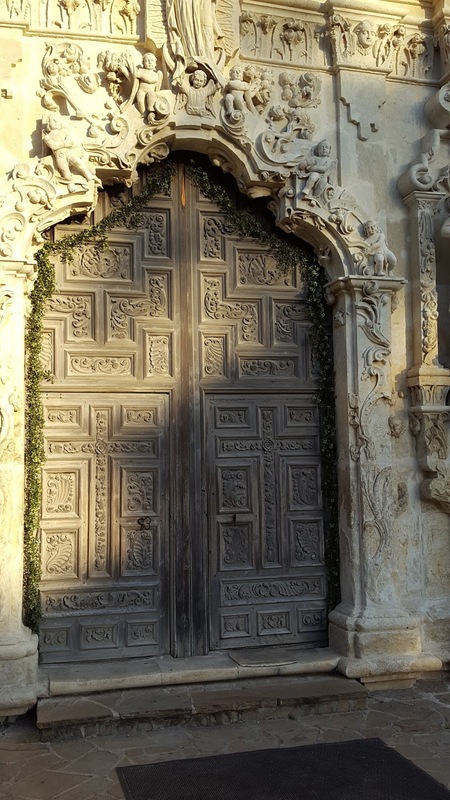 The missions are open from 9 am to 5.30 pm daily. 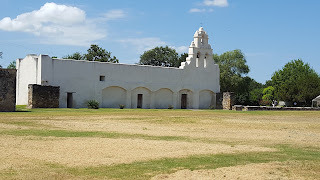 The Mission Alamo, is open till 8 pm now in summer. Check this official site for more information. Linking this to #MondayMusings hosted by Corinne at Everyday Gyaan. WoW, it's such an incredible post and such cultural and historical richness make the beauty of a country. Beautiful pictures. I've read of San Antonio and seen it featured in some movies. Being there must have been a great experience, Mahathi. PS: Sorry for getting so delayed in visiting your post. That was quite an information!! And the pictures are beautiful!